At the age of 16, English poet Percy Bysshe Shelley (born August 4, 1792) was expelled from Oxford University and disowned by his father. The reason? A little pamphlet he wrote called "The Necessity of Atheism." This was Shelley's first long poem and it was written initially to his first wife (the Queen Mab of the title) when he was 19. All I can say is that if this was his first poem then Shelley's ability is impressive. 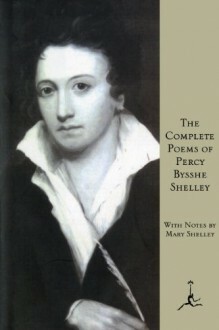 However, the nature and contents of this poem did actually get him into quite a lot of trouble, no doubt due to the attacks against the king and also the significant atheistic overtones, and it is not that the atheistic nature of the poem is subtle: it is quite blatant, though it is not as if Shelley was necessarily walking new ground, particularly since Blake and others were writing along these lines prior to him. 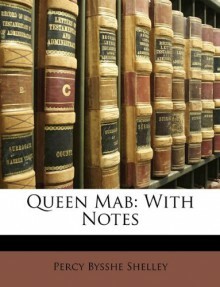 Mab of the title possibly comes from the reference to her in Shakespeare (which, according to Wikipedia, is the first major literary mention of her). No doubt Shelley would have been familiar with the reference, and in Romeo and Juliet, she is described as a fairy who grants dreams of wish fulfilment to those who are asleep. Maybe the nature of the title reflects Shelley's desire to see a better world where the lower classes do not live under the heel of the ruling class. Unfortunately this has not necessarily come about, even though since Shelley's time social welfare has moved significantly from where it was then and the poorer classes, at least in the Western World, live much more luxurious lives than they did back then. However, there is still a massive distinction between the haves and have-nots, and still an underlying goal in regards to the pursuit of wealth. One of the interesting things that I have picked up while reading this poem is how political and social criticism is nothing new, which is obvious, but having lived through the period of the Bush administration where political and social criticism reached a level of popularity which I had not seen before, it is interesting to reflect on this style of commentary in ages past. In a way, this period of history also saw a rise in such commentary, particularly since Europe had just been through the French Revolution and the United States had formed a republic out of a rebellion against the English throne. However, it was not the American Rebellion that had been the counter-point of this agitation against the ruling class, simply because it was a rebellion of the wealthy merchant classes against the aristocratic classes. What France has signified was a rebellion of the lower classes (though the leaders of the rebellion were still bourgeoisie) against the aristocratic classes, and the desire for a real democracy, not based upon land ownership (as was the case in the United States) but based upon the fact that everybody is a human being and in that everybody is equal. 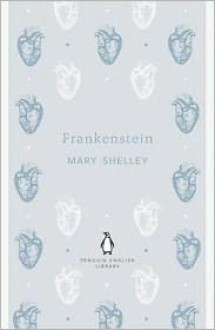 It wasn't as if Shelley was writing anything new because writers before him, such as Rousseau, had already been exploring these issues, and even then writers as far back as Jonathon Swift, had been writing allegorical criticism (since in those days writing in the style of Noam Chomsky would have got you in a lot of trouble). It is not even as if he was a Romantic poet in the style of Wordsworth and Colleridge (though we know that there was a lot of influence from that sector) though he does use the romantic style to forward his political agenda. Even then, one questions whether Shelley had much of an impact in his day, but then in many cases such agitators generally do not live to see the effect that they have during their lifetime (Martin Luther King didn't). Another interesting thing that I have noticed is how Shelley rails against Christianity in this poem. The idea is that the concept of God the Father is a reflection of our understanding of our father from when we were children. However, the tyrant God, as many view him to be, is a reflection of the tyranny of the day. The tyrant God, which is what Shelley is attacking (and what many agitators have attacked before and since) is a means of control over the population. In the same way it is as the idea of the divine right of kings was a method to prevent rebellion against a king because to rebel against the king is the same as rebelling against God. This is something that is still practised today, particularly if you look at parts of Romans which indicate that rulers are raised and deposed at God's whim, and to attempt to remove a ruler yourself is to go against God. However, I do not believe that such passages indicate that God is a tyrant God, but rather a God of order. Nor do I believe that the passage is saying that we have to accept the ruling of any authority without questioning or challenging it. What I believe that it is talking about is armed rebellion, not political agitation. We do see that in the New Testament that where governments order us to behave in a way contrary to the Gospel then we are to question and challenge that order. It is not challenging the government, but seeking to replace a government through rebellion. Further, there are reasons for this warning, and these reasons necessarily come out in other places, and I have written about these dangers elsewhere as well so I will not necessarily dwell on them here. This is a rather short poem, a sonnet to be precise, being a poem of sixteen lines with a specific metre. Now, while I like poetry, I would hardly call myself a poet in that my skill in writing metre is not the best, and in many cases I fall into a system of rhyme, which I find to be pretty corny (at least to my ears). This does not mean that I have not attempted poetry in my life, and many of the poems that I have written tend to be rather short (none of the epic poetry of Homer or Milton). These days poetry does not seem to be a huge as it was in the past, though there are still quite a number of poets out there. However the modern image of a poet seens to be some guy sitting in a rotting apartment subsisting on a diet of whiskey and cigarettes (and for some reason Alan Ginsberg comes to mind in this regard, though I suspect his diet consisted of more than just whiskey and cigarettes). In my mind, these days (as has been the case in the past) there simply is no money in poetry. In the days of old though poets tended to survive on their own wealth (such as Emily Dickinson) or were patrons of the nobility (such as William Shakespeare) as as such many of their poems where simply praises of their patrons (once again William Shakespeare comes to mind). That does not necessarily mean that poetry is dead, we do see it crop up in movies, and in a way songs these days are simply poetry put to music, but then again this was something that would have occurred in the past as well. Take the Greeks for instance, many of their poetical works (in particular Homer) were either sung, or at least had music playing in the background, which is interesting since it is believed that Ancient Greek drama developed from poetry readings. I should make mention of Percy Shelly though. 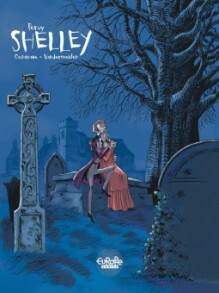 The truth is, Percy Shelly's claim to fame is not that he was a poet (though many of us in literary circles do recognise his poetic skill) but that he was the husband of Mary Shelly, the author of Frankenstein. They say that she went on to become quite famous while her husband, who was quite famous at the time, disappeared into the mists of obscurity. Personally I believe that that is a little unfair on poor Percy Shelley since this particular poem, and it is a very famous poem at that, is a lot more than simply something written by Mary Shelley's husband. 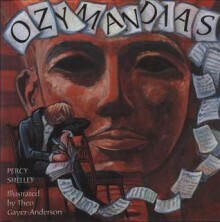 Ozymandias is one of those poems that seems to continue to crop up. I first encountered it in high school during one of my English classes when we were looking at (surprise, surprise) poetry. It seems that whenever the topic of poetry comes up in high school, this is one of the poems that is looked at, maybe because it is short (it is a sonnet), but maybe because despite its shortness, it actually does have quite a lot to say. I won't reproduce the poem here, and anyway, it can easily be found on the internet. Anyway, it is a poem about Rameses II, one of the great kings of Egypt. It is generally accepted (though not by me) that he was the Pharoah of the oppression, that is the Pharoah that ruled Egypt during the period that the Jews were slaves and before Moses led them out of captivity to the promise land. However, this is not the time or the place for me to go into my historical theories on the Egyptian timeline. What this is the time is to comment that what Shelley is doing here is creating an image of a fallen statue in a windswept desert. In his time, Rameses could have been considered the most powerful person on Earth, however in Shelley's time, he was all but forgotten. His works and his buildings survive, but have long since been looted by grave robbers. The remains of his kingdom are still present, but its glory days a long since gone. Shelley, however, wasn't writing about Ancient Egypt or some long dead king, but rather as a reminder to the people of his day. The year is 1818, and England had recently defeated Napoleon and they pretty much sat on the top of the world. The British Empire straddled the globe, there had been no empire since that had even come to compare to the might and the wealth of the British Empire. While Percey did not know it at this time, but it was the beginning of the Pax Brittania, a hundred years of relative peace where the wealth and the power of the British Empire would continue to expand, and their influence would reach out to all corners of the globe. It would not be until the early 20th Century that Britain would meet a rival that could even consider taking a shot at the title. However, the concern is not so much that Britain was at the top of the world, but rather that this too will pass. 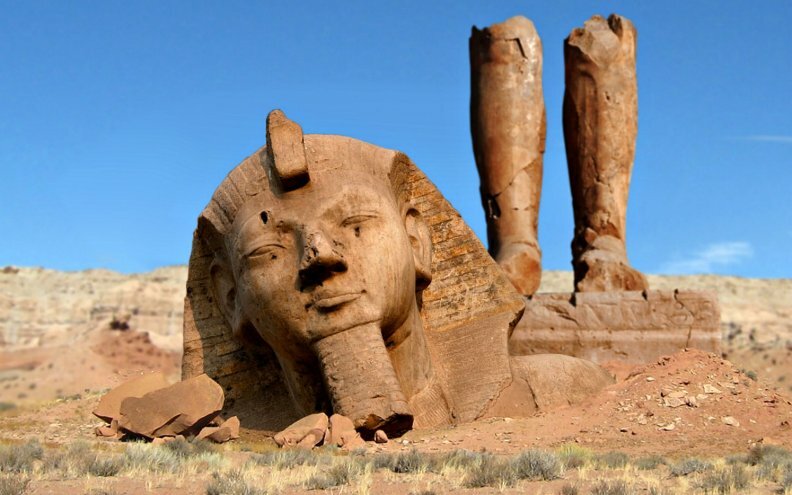 Three thousand years in the future Queen Victoria will, so he believes, be another Ozymandias. Even now her statues can be found throughout the former British Empire, sitting in pride of place in many of the cities around the world. Here in Adelaide her statue sits in the middle of the city, as it does in Hong Kong. Everywhere you go in the former empire you encounter reminders of Victoria, whether it be the name of a state, a city, or some gentleman's club. However, like Rameses, this too will pass. The people at Shelley's time will not see it. Most of them would not be alive when Arch-duke Ferdinand is assassinated, and the only memories of Napoleon would be those in the books, or the stories that old men would remember their Grandfather's telling them when they were children. As with Rameses, so to will this pass.